First of all, it’s going to be extremely hard to resist writing this fresh Sims news without slipping into some simlish dialogue. Who could resist a perfectly placed “myshuno” to spruce up an article? However, you can slip into something a little more simlish with the first ever clothing line based on popular PC franchise. The Sims has been a dominant force in the PC gaming world ever since the first game released at the dawn of the millennium. In those nearly 18 years, the franchise has built up a massive following rivaled only by the mountain of content that Maxis has been churning out for the world of the beloved virtual avatars. Now Maxis and EA are taking The Sims content into a whole new world with their partnership with Threadless, who are offering a variety of products with exclusive Sims designs. On the official Threadless shop there are 17 unique designs inspired by The Sims that are available to put on T-shirts, cell phone cases, cups, notebooks, and so much more. 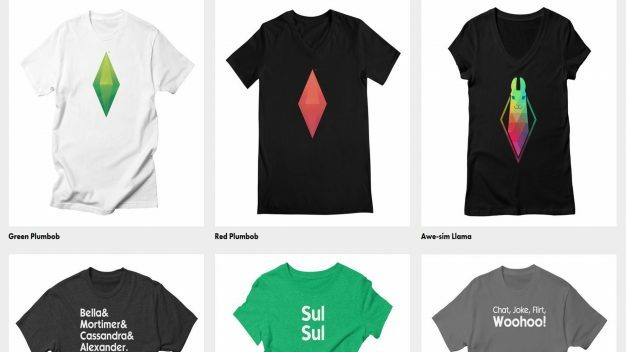 Whether you’re in the market for a plumbob throw pillow, a Pop Art Llama art print, or even a T-shirt with the fantastic conversational “sul sul” emblazoned upon it, Threadless has your hookup. 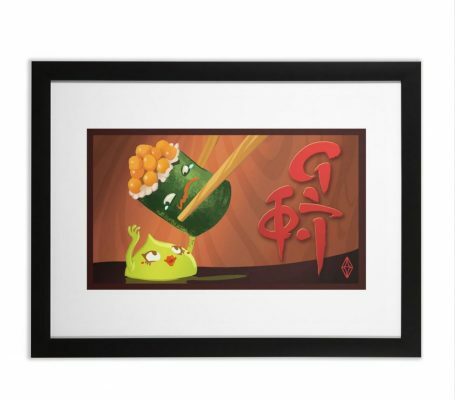 I myself am quite partial to the Wasabi Romance framed fine art print. The CEO of Threadless, Jack Nickell, said about the deal, “We are two brands that deeply believe in people having the power to show the world who they are and who they want to be, whether that world is virtual or real.” This partnership all just makes so much sense and frankly I’m surprised that official clothing and décor have been unavailable until this point. The Sims also has new releases this past month with The Sims 4 available now for the Xbox One and the PS4 and the latest expansion The Sims 4 Cats & Dogs released for the PC.